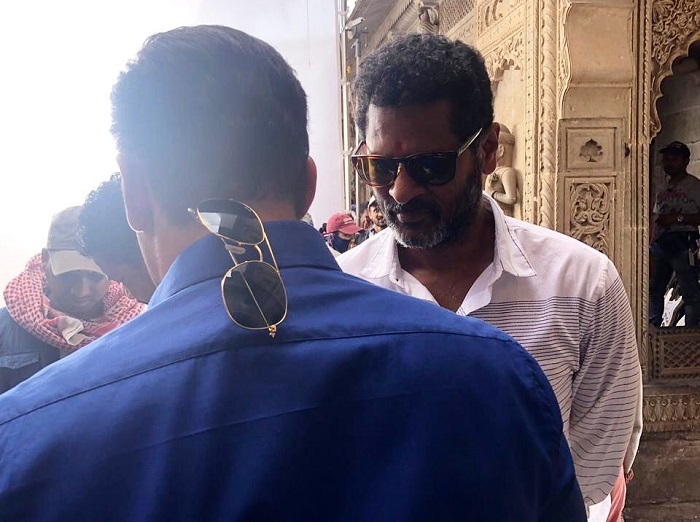 The widely anticipated third installment of the franchise Dabangg has finally kick started on April 1st, 2019 in Indore. The brothers: Salman and Arbaaz Khan shared a video on social media recently announcing this news. Chulbul Pandey, (Salman) will be paired up against Sudeep, a Kannada actor who plays the antagonist in the film. Reports are that in the first 13 days of the schedule, team will be based in Ahilya Fort, where they are currently shooting the title song with 500 back up dancers. After the song is done, it will be followed with an action sequence on bikes with Chulbul’s brother Makkhi (played by Arbaaz who also produces the film) and later wih a week long shoot in Mandeshwar. According to reports, this third part of the franchise will include Chulbul juggling between his past and present. Chulbul will be portrayed as a local goon with a heart of gold and about his transformation into a cop. The present enmity between Chulbul and Sudeep is inter-connected to the past. With a lot of jam-packed action-adventure, the film will also contain enough drama and humor catering to the present-day audience and what the franchise stands for. After the completion of the schedule in Madhya Pradesh, the team moves to Wai, in Maharashtra for an 80-day schedule. Prabhudheva directs the film and it will be produced under Arbaaz Khan Productions. It is expected a 2019 Christmas release. Sorry... It is corrected now!